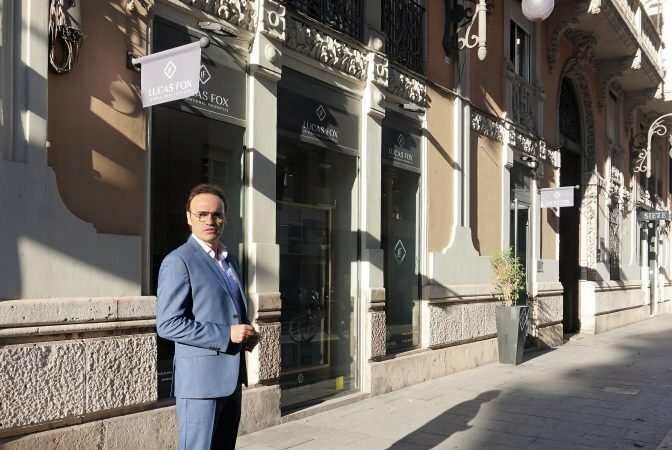 A snapshot of the Valencia property market in 2018 and a look ahead to the landscape in 2019 from Lucas Fox Partner Juan Luis Herrero. Born in Valencia, Juan Luis Herrero has headed up Lucas Fox Valencia for nearly 5 years but has worked in the real estate sector for 25. He is passionate about life in his home city, as much its lifestyle as for its commercial opportunities. Here he talks about how the property landscape in Valencia has shaped up in the last year. How would you sum up the property market in Valencia during 2018? 2018 has been a positive year for the property market in Valencia, capitalising on the inertia of previous years with double digit growth year-on-year. Growth slowed in the second quarter and into the second half of the year. After a few years of strong growth with rates above 20%, data shows that re-sale transactions have softened and the market has stabilised, especially noticeable from July. With regards to Lucas Fox Valencia, we’ve seen positive results, particularly in the first quarter. We expect to end the year with sales growth of around 40%. As I mentioned in my last answer, I have been surprised by the volatility that the market has shown this year. It has performed erratically – from euphoria in the first quarter to a much slower and calmer second quarter. On the other hand, it has been a good year for the new homes market. After a faltering start, this year has seen the emergence of a number of new promotions just has we had predicted last year. What have been the most challenging aspects? For us at Lucas Fox Valencia the biggest challenge has been trying to consolidate a professional team. We have made great strides with regards to improving our training and back-end systems so that our agents have the best tools at their fingertips in order to give a highly professional service to clients. Our Marketing, IT and Training departments have made a huge effort to lighten our agents day-to-day workload. Which specific areas of Valencia are most in-demand? As in previous years, demand is greatest in Eixample, Patacona and around the Alameda area. Within the Metropolitan area, Ademuz and Monasterios are highly sought-after. What are international buyers looking for in general? International buyers continue to show a great appreciation for all things Valencian, from its lifestyle to its award-winning gastronomy, In Valencia Province, international buyers represent 16% of all transactions. There isn’t data for the city itself but logically this should work out at around 20%. This year we have seen many more US buyers who now represent the greatest proportion of international buyers after the UK. French, Italian, German and Dutch buyers also account for a significant proportion. Foreign buyers tend to buy renovated properties with good finishes. They also tend to want the property to be well orientated with outside space. How do you see the property landscape shaping up in 2019 and beyond in Valencia? Without having data from the final quarter of 2018, it’s difficult to predict how next year will shape up, although on a national level, forecasters are predicting steady growth of 5%. Latest data from Valencia suggests that next year will be fairly flat and even with some price corrections. We might then see a better balance between demand and supply of property and a steadier market with regards to price and transactions. Lucas Fox Valencia will be growing its New Developments department offering a range of different services to promotors. With regards to our core business of sales, we’ll be focusing on sales to international clients, particularly the sale of exclusive luxury homes, our specialism. We have a growing database of national and international clients actively looking to buy or rent property in Spain, Andorra and Portugal. Our in-house analytics team are experienced in pinpointing the right buyers or tenants for your property to ensure we can sell or rent your home faster.